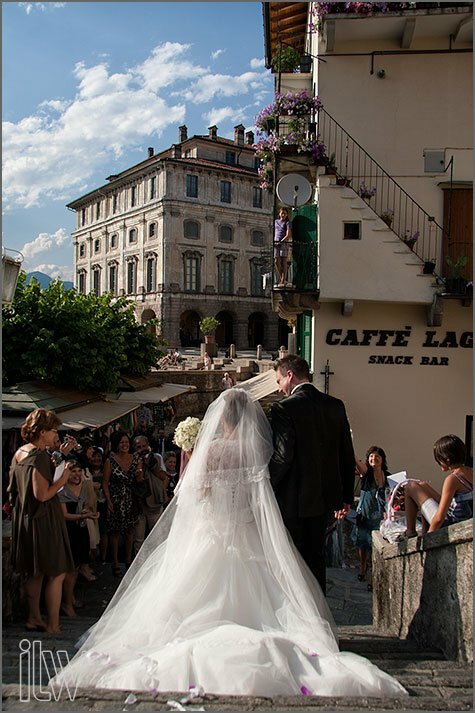 7th of July: Ilenia and Stuart’s wedding on Isola Bella! 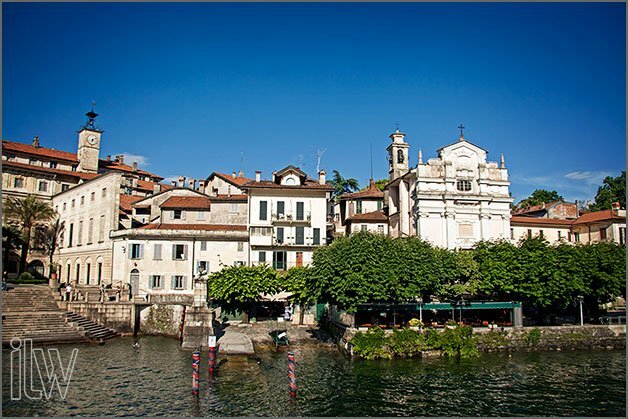 Home » Lake Maggiore Weddings » 7th of July: Ilenia and Stuart’s wedding on Isola Bella! Last week end was really a wedding week end! 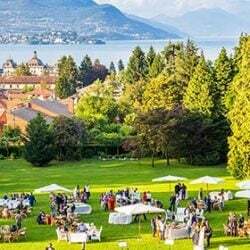 Tomorrow on Italian Lakes Wedding blog pages our wedding planners team are going to give a first sight of the weddings they planned at Torri del Benaco – Lake Garda, Orta San Giulio and Villa Pocci on Lake Albano close to Castel Gandolfo, Rome. 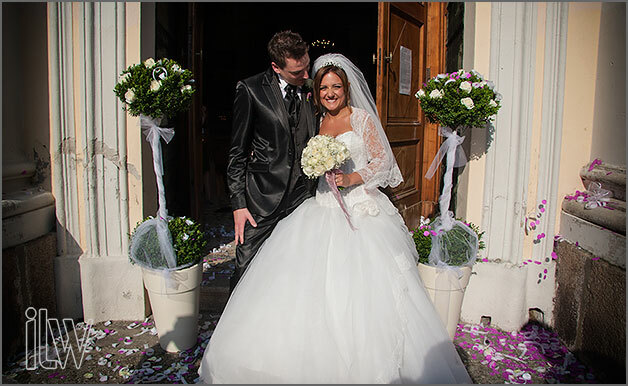 Today we would like to tell you about a lovely wedding: Ilenia and Stuart’s one! 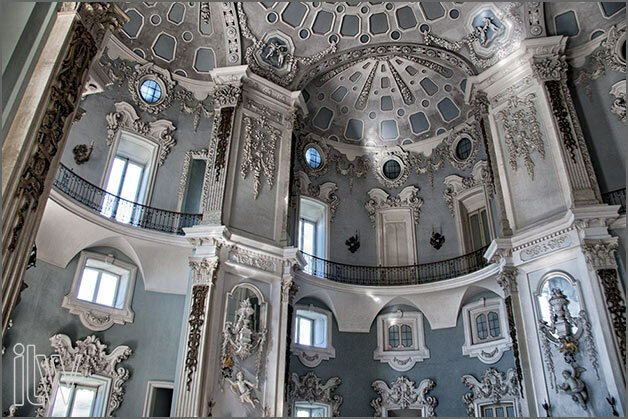 As floral designers we were excited to work for the first time in stunning church of St. Vittore on Isola Bella! 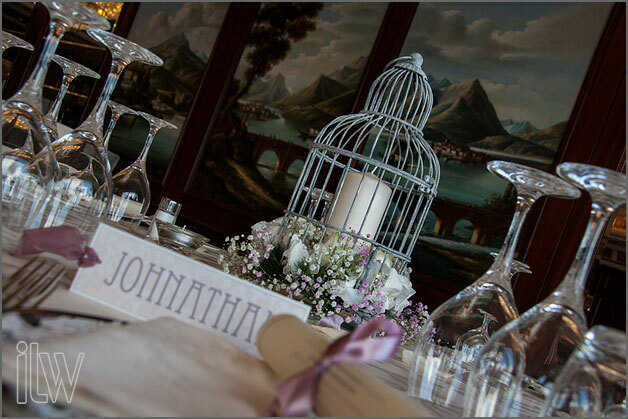 Our couples always chose church with same name on Isola Pescatori. 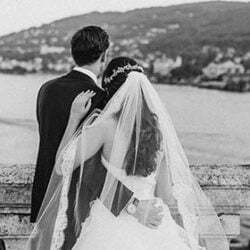 Maybe because of the intimate atmosphere – the church is hidden in the narrow roads of the island – or even because the church is close by many famous restaurants and wedding venues on the shores that are simply perfect for an outdoor reception. 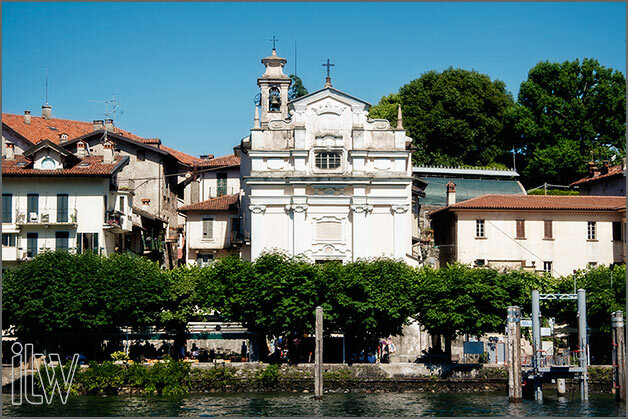 Church on Isola Bella has a very special appeal. You can reach it by motorboat or ferry boat. You cannot miss the baroque facade among little houses of the village on the island. The steps onto the church overlooks the promenade on the lake shores. On the left lovely Borromeo Palace and under it pretty shops, tourists, restaurant and motorboats going back and forth in a perfect mix of colors! For those who are looking for a lively ceremony with colors and joy the church on Isola Bella could be the perfect choice! 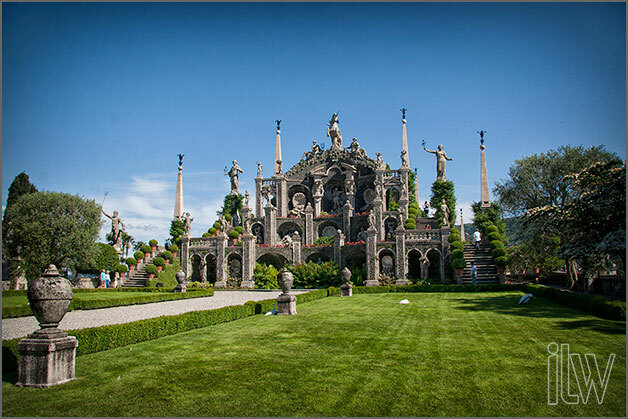 Isola Bella could be also the perfect scenario for your wedding pictures! The amazing garden of the gardens on the island with statues, niches, fountains and rich rooms inside Borromeo Palace. 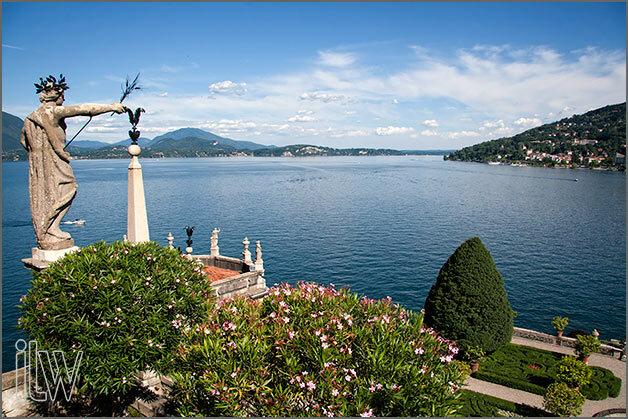 We cannot forget the views on Lake Maggiore that you can admire from the highest part of the Italian Gardens. 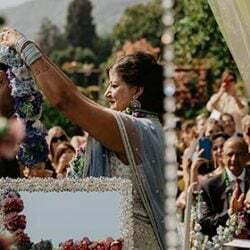 Ilenia and Stuart’s wedding was a great mixture of cultures. 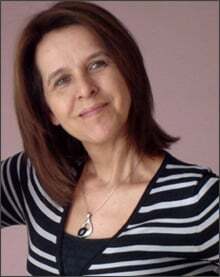 Ilenia’s family came from Southern Italy and Stuart’s one came from UK. More than 160 guests with different cultures and traditions. but all there to celebrate this wonderful couple. A perfect cocktail for a joyful party! After the ceremony and wedding pictures on Isola Bella all group moved to Baveno via motorboat. Grand Hotel Dino and its rich aperitif was waiting for them. Dinner was planned in the elegant room of the hotel. 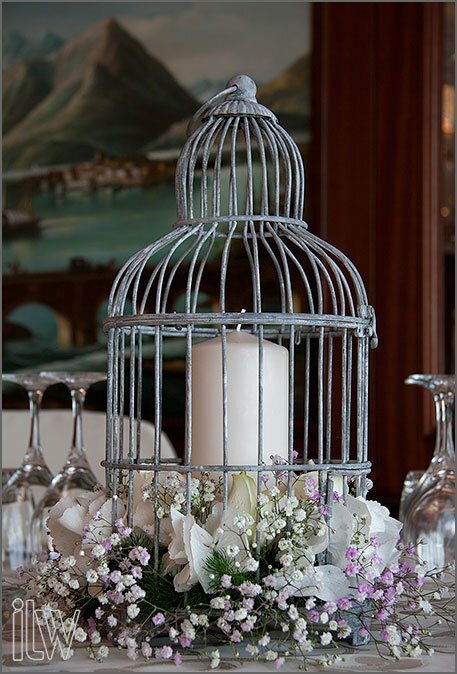 For this occasion we – as La Piccola Selva floral designers – designed a vintage bird cage centerpieces. This was Ilenia’s idea and we enriched it with delicate flowers at the bottom of the cages. 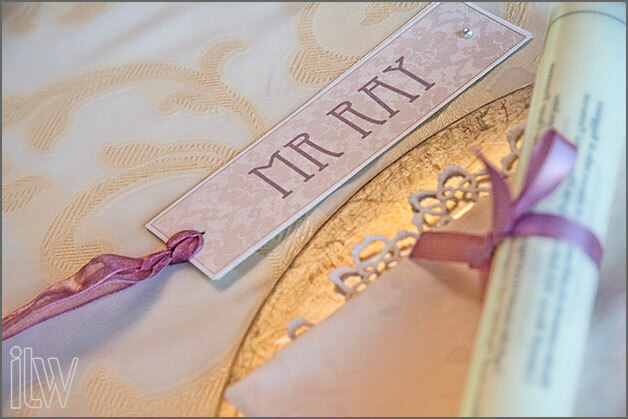 We are showing here just first images of Ilenia and Stuart’s wedding. We hope to show you official shots as soon as Gabriele Lopez photographer will release them! 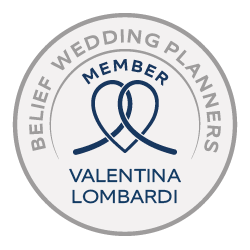 Congratulations to Ilenia and Stuart from all Italian Lakes Wedding Team! 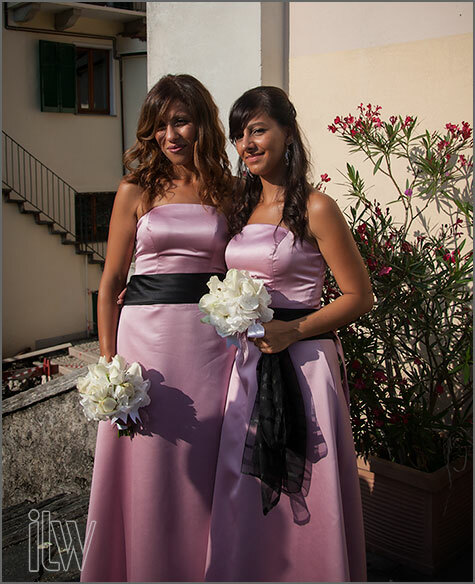 All Images © Italian Lakes Wedding © All rights reserved.